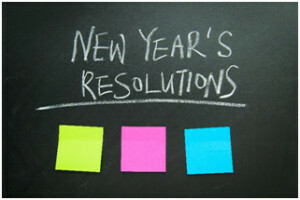 New Year’s Tip from a Tax Accountant in Santa Rosa and Sonoma County: Organize Early! The New Year has come and gone, and now is the time everyone starts thinking about taxes. The problem? They’re only thinking about the previous year’s taxes. While they’re trying to think of expenditures and scrambling for receipts, they forget what it was that caused them to be in this mess in the first place. They weren’t organized for 2015 this time last year. People looking for a tax accountant in Santa Rosa and Sonoma County are in one of two categories. There are the people who come in to see us with everything ship shape, and there are the people who don’t. We’re happy to tell the less organized people what to look for from last year and help them organize it, but for their own sake we don’t want to see them in the same sad state the next year and the year after that. Organizing your tax information isn’t that hard. As with so many things in life, it’s just a matter of taking the first step. You’ve heard the expression “a place for everything and everything in its place?” Well, your first step is to start with having a place. If you don’t have clearly labelled files for your tax information, you will not be able to “put them in their place.” So step one, make a place! In order to label your files, you’ll want to know what to save. If nothing else, have a file for each month and keep everything you think you might need according to the month you received it and we can sort it out at tax time. That’s better than having some papers on your desk, some in your car’s glove compartment, and some only in a computer file. You need to save information on bank accounts, income, credit cards, and receipts for anything you plan to deduct. If you contact a tax accountant in Santa Rosa and Sonoma County, she can give you advice more specific to your information. Did you buy a house last year? Do you own a small business? Inherit money? So while you’re lamenting about your 2015 taxes, get a great start on 2016. It’s simple. Step one, make a place for everything. Step two, put everything in its place. Not this time next year, but the second you get that receipt or statement in your hand. You’ll thank yourself a year from now! Susan C. Adamson CPA is a tax accountant in Santa Rosa and Sonoma County. CONTACT US or call (707) 799-2705 for all business planning and tax prep services.